I thought I’d throw this one out to collective suggestion. It looks like noise here at my QTH is going to prohibit me chasing in any meaningful way. I’m looking for suggestions of transceivers that operate on battery power that I could use static mobile. I’d like a bit of power available, 100 watts being a maximum limit based antenna. Obvious choices might be IC-7300, FT-991[A], etc… but I’m happy to consider other options, SDR/computer based, larger rigs, etc. I don’t do a lot of chasing so I’d be interested in what features really make a big difference if you are sat chasing for a few hours - computer integration presumably is a help? Filters make a difference? Sensitive receiver? Just looking for suggestions that I may have not even considered. This would be SSB, CW, Digital, whatever I need. What transceiver do you have that is really fun and rewarding to operate? 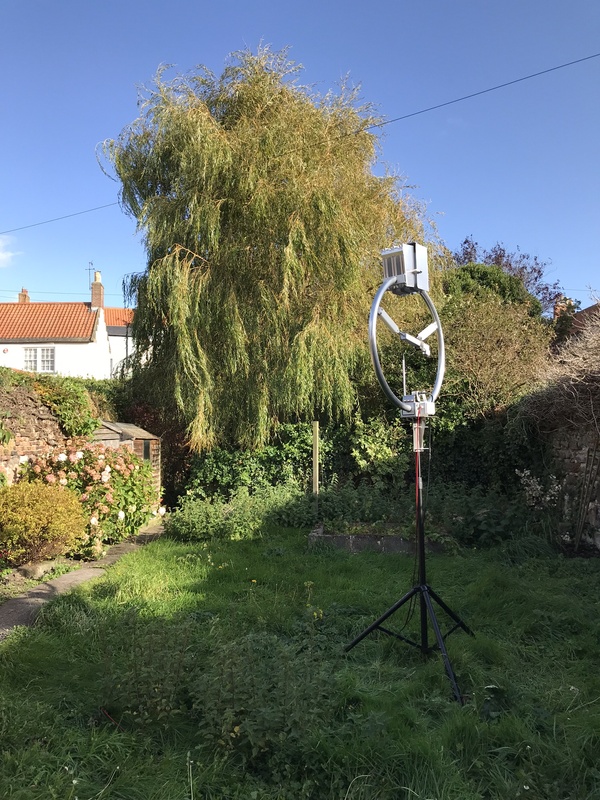 Sorry to hear of your problems with QRM around your home QTH - a couple of quick questions on that point - is your antenna at home vertical or horizontally polarised? Vertical antennas do pick up more noise especially if close to buildings. On the horizontal front, the skyloop (full wave horizontal loop) is one of the best antennas I have found for filtering out local electrical noise, but it needs a lot of space and should not run over the roof of or near to the building where the noise is. An off centre fed dipole is also better than a vertical if that is all you can fit in. Not sure about end-feds, whether they are better or worse for noise reception. Another option might be a magnetic loop if you can locate this so it’s easy to tune and turn. These can be expensive if they have remote tuning though. One more option (again if you have space) is to put up two antennas and use a phasing unit to null out the noise. One antenna picks up mainly noise and the other everything, when phased together you are closer to getting the weaker signals without the noise. I would also say that any of the latest rigs from the big three have very good digital noise reduction, my favorite, if you can get it in your price range would be the ICOM IC7300. There may be some of those on the second hand market as several upgraded to the IC7610 when it came out. OK - on to your original question - by going static-mobile you immedaitely lower your noise floor drastically. So the question might be more one of practicalities. While an IC-7300 would be a very nice choice the FT-857D or FT-891 are good rigs and somewhat smaller. They do rely on multi-level menus to save on front panel real-estate but this is probably going to be a one-time set-up in the deeper menus and then leave them alone. The Yaesu FT-450D and the Kenwood TS-590SG are certainly also worth considering. If you’re thinking of running the digital modes from your parked car then a rig with a USB interface avoids having to have the extra complexity of adapter boxes in between rig and laptop/tablet. Are you looking specifically for a brand-new rig or lets say less than 1 year old “nearly new” rig or will a second hand, older rig be acceptable? You have probably more choice at the moment than ever before even in the sub US$1000 range. For installation in a car, I would recommend sticking with the big-3 rather than the smaller firms. Even if their SDR riigs may be more sensitive, this is less of a problem when you are out in the countryside. The major 3 manufacturer’s rigs seem more sturdy to me as a general rule (there are exceptions I am sure and with the addition of protective panels for example an Elecraft K3S would be a killer rig - but out of your price range). As much of a question as the rig, is what antenna are you going to use. The simplest and fastest set-up would be a loaded vertical mounted to the car on either a magnetic mount or a boot-lip or similar mount but in comparison if you are able to set up a fibreglass pole with an inverted-V linked dipole (such as the SOTAbeams band hopper or build one yourself) or an OCF (such as the Aerial-51 UL-404 or several other companies - or again build one yourself) it will far, far outperform the loaded whip on the car. Even though you have a ready 12V supply in the car, as you’re going to be running up to 100 watts when the engine is not running, I’d plan to have a large LifePO 4S battery to power the rig, that is then charged via the correct charger when you are driving and not operating. Otherwise you run the risk of a flat battery when you want to set off to go home and with the modern computer controlled cars that we have nowadays that can turn into a major problem. Perhaps you should look for a rig that can be used at home when needed or in the car in a static mobile set-up, for that I’d recommend the IC7300 as I feel it would excel in both environments. Rember though in both environments the antenna can make all the difference. Another approach is to consider and research a magnetic loop antenna for your home QTH as these are rumored to be quieter than dipoles, verticals etc. Beyond reusing what I presume you already have at home, darting out to nab activators takes an additional level of energy which for me will evaporate pretty quickly and hence the rig will sit in the vehicle collecting dust. The one (huge) draw back is cost of a commercially available one such as the Ciro Mazzoni http://www.ciromazzoni.com/loop-antenna. I have one in my backyard (garden) in Berwick and while its early days the SSB and FT8 results have been promising but no chasing until its permanently installed with a rotator. The big trade off is the inefficiency of the magloop but I guess nothing comes for free. Another thought is using a noise cancelling device. It uses a 2nd antenna (I use any old piece of wire) to phase out local noise. I have the commercial MFJ-1026 which , with some careful manipulation of the dials almost completely removes the solar panel noise (my own panels so can’t blame anyone else). A couple of caveats though. There is a knack to using one effectively but this is soon learned with help from some youtube videos. Also, the device sits between the rig and ATU, so you would be unable to use the rigs internal ATU. This isnt a problem if you have a seperate ATU or resonant antenna. Overall I would say they work well and enabled me to operate from home. FT-857D, it’s 730 quid at ML&S. Ahh… I remember it at £449 when the yen was weaker and before the pound became a third world currency. And also before buyers realised the expected replacement - the FT-891, wouldn’t have VHF/UHF - so the last of the FT-857D’s have become chased items! That’s not to say the FT-891 isn’t a good rig on HF, it’s noise reduction is supposed to be better than the 857 as well - it just doesn’t do 2m & 70cm. At £590, it’s a good deal especially if you’re looking for something small but solid for portable use. Firstly, to address the situation at my QTH - the plan is to put my portable dipole up temporarily to measure noise. I have an AlexLoop which I have setup in my daughters bedroom (the attic where my shack would naturally be is foiled lined and it doesn’t work there!) and have experienced S8-9 noise across the band. I figure any other type of antenna is going to be at least as bad. From a visual impact point-of-view an end-fed half wave would mount on the support pole of my existing TV antenna and run down the length of the house, terminating at the back of my garage on a squid pole. Any other type of antenna isn’t going to be possible without introducing additional visual elements. I should add that the house is on the market to be sold so anything needs to be very light visually. I appreciate all the advice however about noise cancelling as well - these kinds of phase devices have come up in conversation several times and I appreciate them being discussed here. I hadn’t considered chasing from a VHF/UHF perspective. I do have that capability and have decided not to narrow my selection of rig based on those frequencies being a must have. Besides, I can do chasing of VHF/UHF from my home location now with a temporary Velux-mounted Slim-J/G antenna. Finally the FT-891 has been mentioned before, in very favourable terms. I believe it is a rig that is often overlooked. There have been deals in the past which have made it very competitively priced. In terms of rig features I do appreciate the very sharp filtering present in my MCHF SDR-based portable transceiver. I have often also used wide filter widths such as 3.2KHz in CW mode to find CW operators sending at a suitable speed for me to be able to copy, before narrowing in. so the last of the FT-857D’s have become chased items! Hadn’t seen any suggestion anywhere that the FT857D is being discontinued - have I missed something? Maybe you’re thinking of the FT897? It’s not completely clear what is happening with the 857D (I was not referring to the 897). My understanding is that production has been cut back - whether it has totally stopped I don’t know. The expectation from Yaesu according to several articles that I have read, was to replace the FT8x7 range with a more modern range of rigs. The 897 was replaced with the 991 and then that was replaced with the 991A. The 891 was released and didn’t get the take up that Yaesu expected, so at that point it’s possible that Yaesu decided to retain the 857D at least until they can’t get parts to build it. There was rumours of a 791 to replace the 817ND but with the lack of take up of the 891, I suspect that replacement got delayed. The 818 had to come out as there were parts that could no longer be obtained at a reasonable price to keep building the 817ND, hence the slightly updated 818. Let me say, I don’t work you a Yaesu dealer and the stories above have come from magazines and blog postings, which of course means they could be partly or totally wrong. What is true is that the FT8x7 range has been around some time and, if only to use current parts replacement models were due. The 857D is still a very good rig for the price but if VHF & UHF are not needed the FT891 would make more economic sense (in my opinion) at the moment. A simple and valuable test - hook up some antenna to your McHF run it off a battery, listen to the noise and then go and turn off the main power switch to your house. If the noise level drastically reduces the problem(s) are in your house and you can power on a circuit at a time until you find the culprit(s). If these are not fixable and you intend to move out, I would not be running an antenna along the roof of the house OR operating an Alex Loop from inside the house as it simply wont be any better than what you have now. If the noise level isn’t reduced drastically when you turn the power off, it’s your neighbours and it’s good that you intend moving house! Oh by the way if there are solar panels on the roof, turn their invertors off as well as your main house power. Another option for portable if you’re happy with the McHF would be a 50 or 100 watt amplifier to use with that rig. This should be cheaper than buying a full blown 100w rig. By the way the difference between 50w and 100w when portable is negligable. If the activator doesn’t hear you with 50 watts he isn’t going to hear you with 100. 50 watts is the “sweet spot” for portable operation I think as it gives some “punch” out, while not completely destroying your battery capacity and hence operating time. So even if you buy a 100w rig, my recommenation would be to run it at 50 watts normally anyway. If you have the brass, IC-7300. Then if you really are on a tighter budget, the FT-450D is a bit of a bargain. A friend has the choice of any HF radio for his contesting and DXpeditioning. His choice is the FT-450D. I don’t know about the ergonomics as he sits on a frequency and gets the world to call him, you should check. RX is meant to be better than other FT-8x7 class radios. I do the vast majority of my chasing from my mobile station, usually sitting in my office parking lot…I used to use an 857D and when the 891 came out I switched to that. For cw, the ability to narrow the filter on the 891 was a major advantage to me - it has allowed me to work activators that I’m certain I wouldn’t have on the 857. On phone, the DNR occasionally can be helpful. It’s not a high-end rig, but it’s a solid radio and absolutely gets the job done and I don’t regret for a minute making the change. I have far better rigs but I wouldn’t want to leave them in my vehicle, so they sit home waiting for a better antenna than my attic dipole. The 891 is fairly easy to connect to a computer but you do need an external sound card device for digital modes. I don’t generally use the computer in the mobile though. Good luck, and remember the best transceiver for chasing is the one you actually use. I’ve also heard good things about the FT-450D, it has the additional advantage of having a built-in ATU which the FT-857D and 891 do not. It’s larger than the other two Yaesu’s which brings me back to the question Mark - do you intend to build the rig into the car somehow and leave it there, or is it going to sit on a seat while in operation and then removed from the car? If you are used to working with a panadapter screen then the IC-7300 (which also has a built in ATU) is a very good choice but otherwise the FT-450D is definitely worth consideration. I have a 450D at home as an upgrade after using the 817 + Amp for chasing at home. It is easier to use as the controls are more ergonomic, and at the moment it does what it needs to. I live in a black hole here for VHF/UHF so didn’t need VHF coverage. I use a lead to connect it to the PC for logging, and on occasions data and it seems to be reliable when talking to the PC. The built in ATU copes with things that are a closeish match and the reports I’ve had have been OK. It isn’t a big rig and lives on the desk with all the other clutter, and frequently a cat sat on the top of it! It would work well static mobile and be easier to use than something like the 817. I only paid £450 as I managed to buy before the pound became a third world currency! Yes I would like a 9300 or an Elecraft rig but I also have three kids and three cars in the family and lots of cats so the 450 was really the only base station in my price bracket that wasn’t as old as my licence! Managed to reduce the noise at home with lots of torroids and choke baluns but the antenna is 20m away in a wood. Visual impact is low unless looking for ladder line in the trees! Having broadband that is fibre not vdsl also helps a lot! Happy to try and answer any questions about the 450D, although can’t compare it aginst a more expensive rig - sorry! There was recently some talk about the FT-891 receive current being published as 2 amps - I believe it turned out that, that was a worst case scenario will all features turned on and the volume full up and a more expected reading is likley to be around 500 mA to 1A. The Rx in the 891 should be better than the one in the 857 it’s an, at least 10 years, newer design! Lots of great suggestions again, many thanks. In answer to the question - static mobile or built into the car - definitely static mobile and the plan would be to have it sat next to me/in front of me and removed from the vehicle when not being used. The FT450D has definitely popped up a couple of times recently as a possibility. I had the opportunity to see one and pick it up for the first time at the club last Tuesday and was surprised how compact it is for what is ostensibly a ‘desktop’ transceiver. Would probably be fine sat on top of the dashboard for example. Noted about having a tuner as well. It seems to get a lot of love from owners too. I am trying to use resonant antennas where possible - my current setup when static mobile is a 9m inverted V dipole for 80/40/30/20m. The main disadvantage of using this antenna is the 40m run required - I’ve only found a couple of spots round here where it is possible to setup the antenna on the back of the car. It is quick however to setup. I can get the whole thing out in under 10 minutes, often substantially less. It generally works great though, even on 80m. Also noted about the FT-891’s good filtering - especially for CW - compared to the previous generation of Yaesu transceivers. I think I would have struggled at times with the FT-817 and the standard filtering. Obviously a mechanical filter can help greatly in those situations. Out of interest Keith @KR7RK what antenna do you use for HF from your car? Hi Ed, thanks for that - a quick google provided a few references that suggest a realistic Rx current is around 1 - 1.1A… still can’t decide which way to jump though! It’s much like buying a computer. You may as well buy on the basis of colour, microphone shape or front panel layout. All modern radios provide reasonable utility on the HF bands and there is no worthwhile difference in receiver sensitivity (they all have too much gain) or selectivity (ceramic filters work fine - mech filters and DSP are slight improvements but usually just make things sound nicer and rarely make enough difference to make contacts feasible that were not with the standard filter). And power is power. RF output that is. 50 yaesu watts is the same as 50 icom watts. It may well come down to whether you like a dealer or the servicing arrangements, or for second hand rigs, whether the parts availability is better for one brand than another. For the best power efficiency, the ft817 is hard to beat when teamed with a small external amplifier. you get the 400 ma receive current combined with the ability to produce 40w or so when it’s needed. And for even better power efficiency the multi band CW transceivers require one tenth of what the 817 does. Hard to beat, though the Elecraft KX3 has done better than that since 2011. Receive current can be as low as 150 mA (backlight off, headphones, preamps off). If you run at 5.0 W, it switches to a high-efficiency mode and uses only 1 A on transmit, about half what it uses if you go above 5 W. Of course, you can crank it up to 15 W.
In most modern rigs, the DSP is the real power consumption on receive. I’m really impressed with the engineering behind the KX3 that it can run an SDR on less power than similar analog receivers.